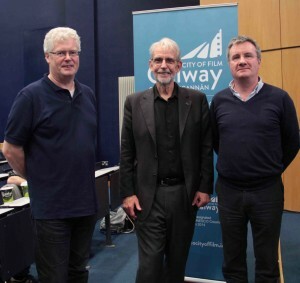 Galway City of Film, in association with Screen Training Ireland, Screenscene/Ardmore Sound, Gréasán na Meán, Big Bear Sound & Galmac, were delighted to welcome editor and sound designer, Walter Murch to Galway, on Saturday May 23rd 2015. Walter, who has won Oscars for both Editing and Sound Design, took part in an in-depth interview about his work, as well as giving 2 presentations on his creative approach to post-production. Walter discussed his approach to post-production and revealed how he gets the best of out the material that he works with. He highlighted how he makes creative decisions, as well as giving an insight into his creative world. Walter Murch is an American film-maker, who began his career on Francis Ford Coppola’s The Rain People. Subsequently he worked on George Lucas’s THX 1138 and American Graffiti and Coppola’s The Godfather, before editing picture and mixing sound on Coppola’s The Conversation, for which he received an Oscar nomination in sound in 1974. 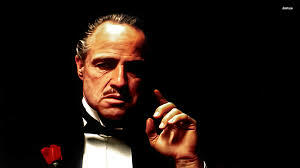 He also mixed sound on The Godfather: Part 2. He did sound design work on Apocalypse Now in 1979 for which he received his first Oscar. He is credited with inventing the term ‘Sound Designer’. He is the only artist to win 2 Oscars for a single film, The English Patient. Other credits include Cold Mountain, The Talented Mr Ripley, Jarhead, Tetro, and Ghost. Walter has written one book on editing, In the Blink of an Eye. There was also a creative panel discussion on the day, curated by Dublin Editors. The panel explored where editing Documentary and Drama meet and diverge and how one can inform the other. Panelists were Frank Berry, Emer Reynolds, Steve Fanagan, Joe McElwaine and Stephen O Connell. As this is a free event and places are limited, please register your interest below so we can accommodate attendees.